Metal serving platters are an excellent way to present hors d'oeuvres, pastries, and desserts. These platters work great for food service such as happy hour, black tie gatherings, and catered or tasting events. Our quality stainless steel platters are the most durable on the market, guaranteed to withstand the rigors of restaurant and catering use. 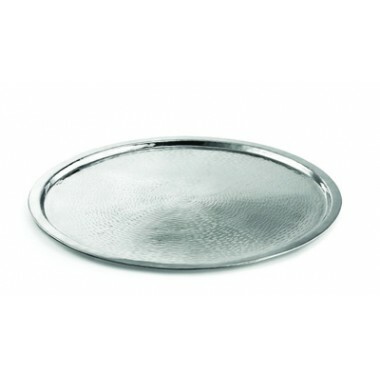 Also, metal platters are extremely easy to clean, deeming them one of the most useful serving platters in the industry.